The Lumia 920 has wireless charging, which in and of itself is fun and neat and interesting and a delightful little quirky perk. 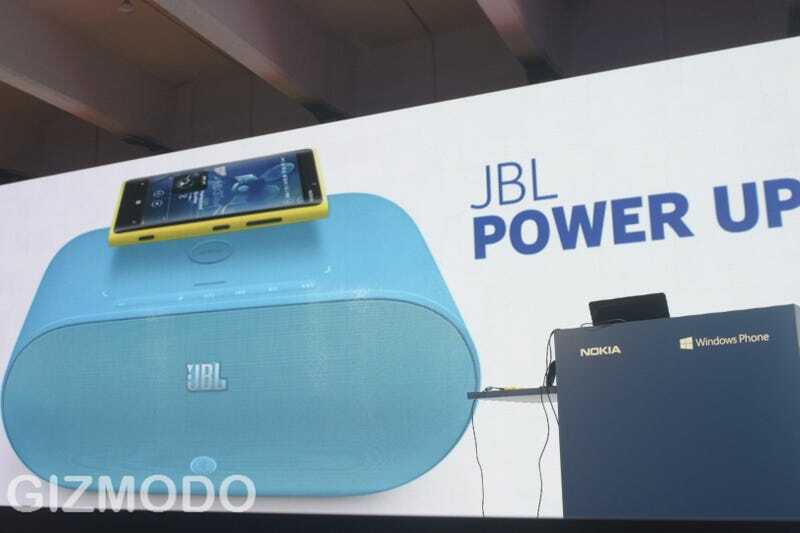 But it'll also have color-matching Power Up speakers from JBL that charge your phone every time you gently lay it on top. Pretty cool. How well does it work? How much does it cost? Details! Save those questions for another day; Nokia certainly has. For now it's just nice to see that Windows Phone is building out a whole ecosystem of devices and accessories, not just sitting in its lonely little corner. Check out our full Nokia Lumia coverage at our liveblog here; for more on the flagship phone itself, check here.